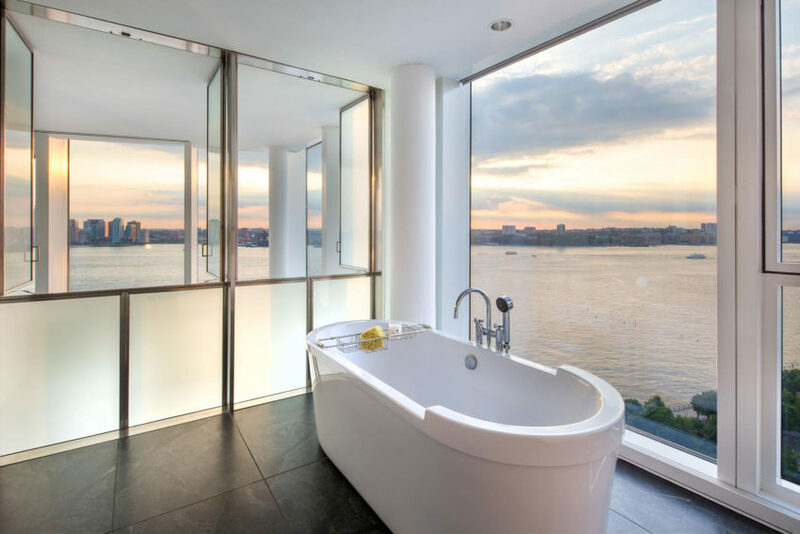 This elegant apartment is located in the Meatpacking District, a neighborhood of Manhattan, New York City, USA. 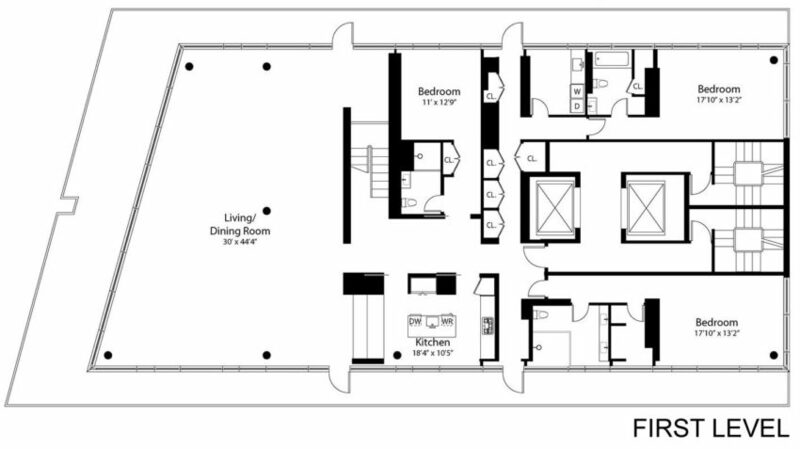 The 4,551 square-foot interior has 4 bedrooms and 4 bathrooms. 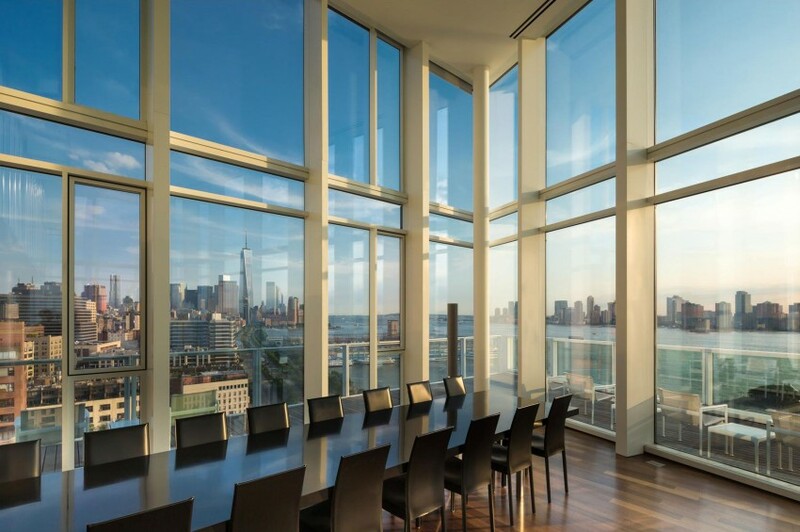 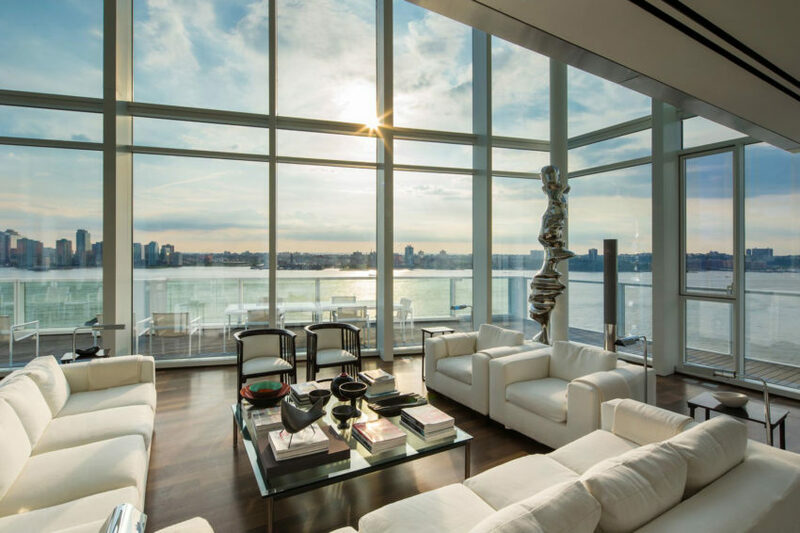 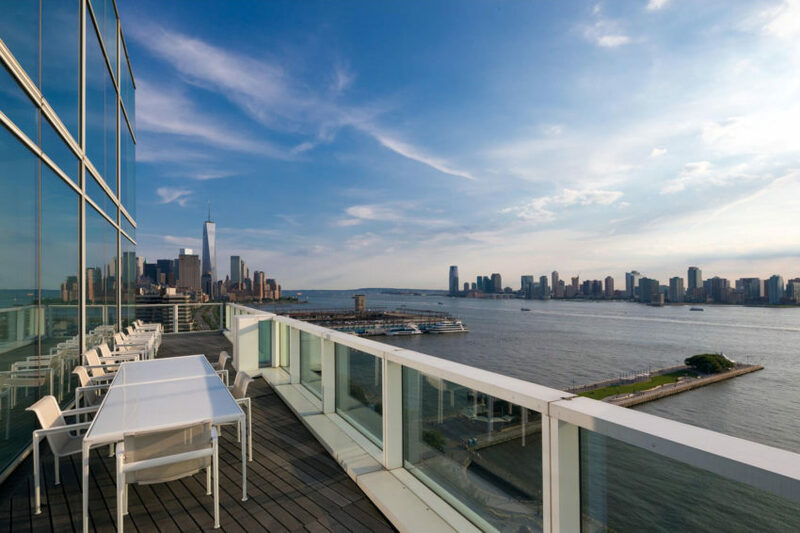 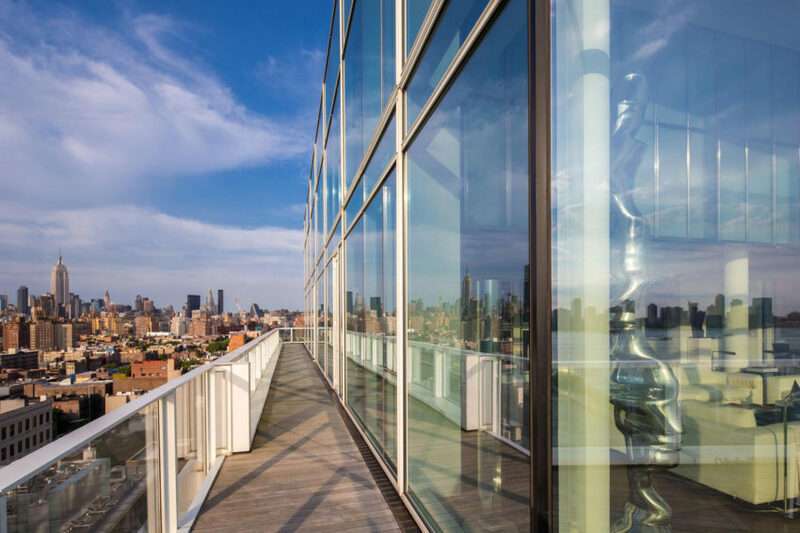 The sprawling four bedroom four bathroom residence spans over 4,500 square feet of sleek contemporary interior space and nearly 1,800 square feet of private wrap terrace providing the most spectacular water and skyline views. 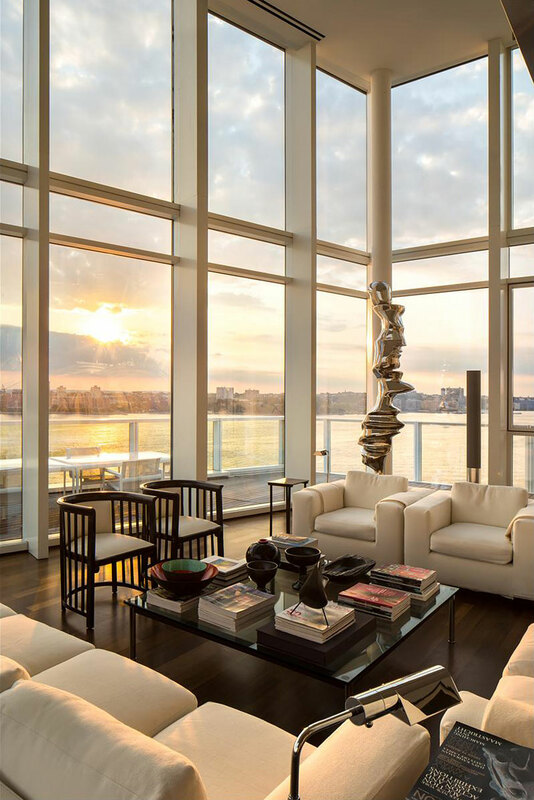 A gracious foyer gallery leads to a massive 30′ x 44′ great room with 21’+ ceiling heights floor-to-ceiling double paned windows that flood the space with air and light. 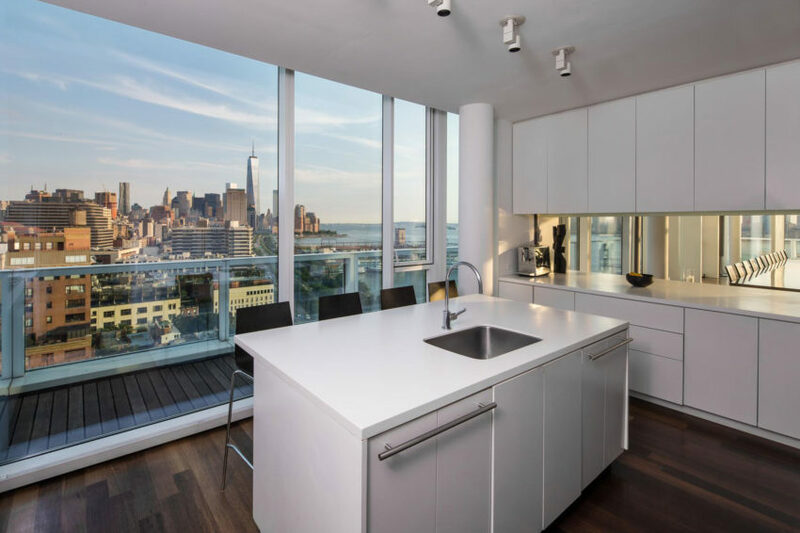 The custom Meier-designed kitchen features white cabinetry, solid white Corian countertops and backsplash, a Gaggenau convection oven and cooktop, Sub-Zero refrigerator, and Dornbracht sink. 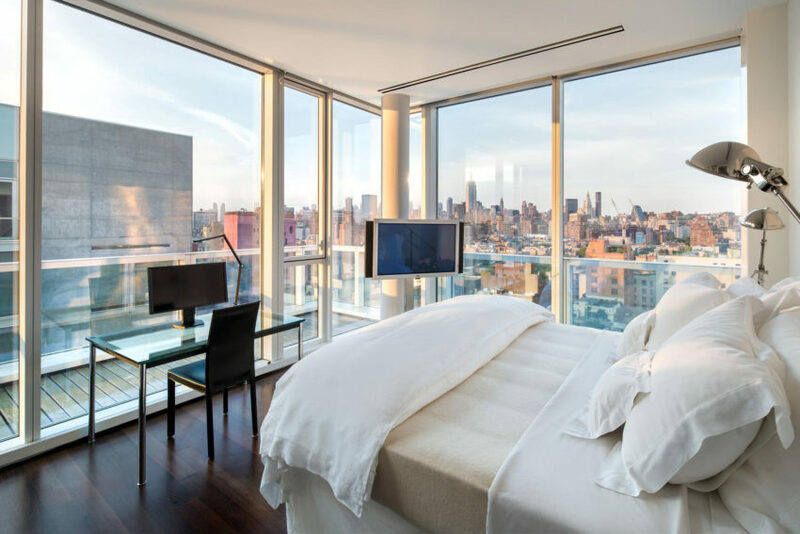 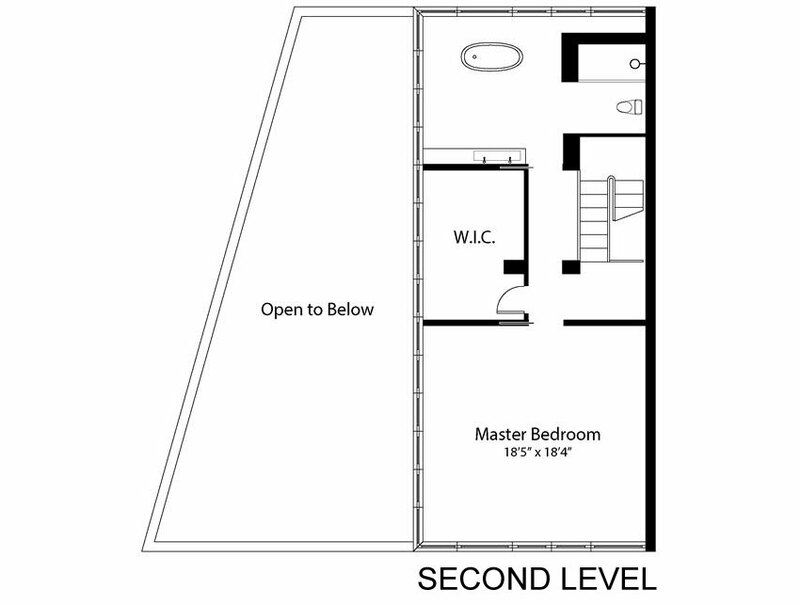 The lower level split bedroom suites each offer luxurious marble-clad bathrooms, large walk-in closets, and magnificent skyline views including the Empire State building and One World Trade Center.